The SARI/EI Task Force-3 for South Asian Regional Electricity Market focuses on electricity trading and exchanges and market. The Task Force members are from the utilities, energy trading companies, power exchanges primarily. The TF-3 explore market-driven, commercial practices in the trading of power, including long-term contractual instruments and medium/short-term trading exchanges. It covers matters related to agreements on guarantee mechanisms, tariffs, wheeling changes, attribution of transmission losses, and transmission pricing. 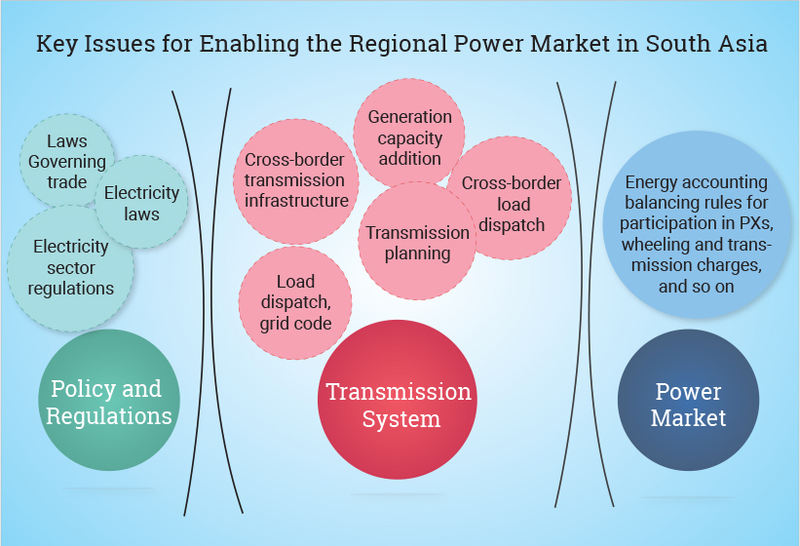 Electricity sector integration in South Asia is in an evolutionary stage and awaits a structured approach to develop a regional power market. Although there are no formal market-based multilateral trading arrangements (supported with a harmonized commercial, regulatory, and legal framework). However successful bilateral trading arrangements in place between Bhutan-India, India-Bangladesh and India-Nepal highlight the benefits from such cooperation. The existing and the proposed cross-border electric inter-linkages in the South Asian region are the culmination of bilateral negotiations. The initial focus on a strong bilateral form of power trade would ensure the investment in viable interconnections. With gradual harmonization of electricity codes and balancing mechanisms, and the strengthening of institutional cooperation, short-term transactions through OTC/bilateral and energy exchanges would become increasingly feasible. Study 1: Assessment of commercial terms and conditions for CBET and suggested model of Power Exchange for the South Asian region.